Noted astrophysicist and xenobiologist Jose Canseco has a world-shattering announcement to make: he’s figured out the secret to time travel. How he came to this discovery is still unclear, but that’s not important. What we need to focus on now is the scientific breakthrough outlined on the baseball player’s Twitter account. Pick your jaw up off the floor, forget how Canseco discovered the beings of AI51 and their “very flexible body composition,” and get ready for the next message. “Without the body?” you may ask. No worries. Canseco knows the way around this daunting obstacle. Altering “our body composition” to withstand the “42, 651 pounds of pressure” put on our skeletons by time travel may seem difficult. But, we must try. Only when we free our brains from our useless bodies will our AI51 pals teach us how to fly backward through the chrono-vortex and, at long last, fulfill our collective goal of taming and riding dinosaurs. It can be done. First, though, we must follow Canseco’s example and discard the nonsense we’ve been taught to believe. Now, some assholes will try to point out that Canseco is not an authority on these issues and, as such, his tweets can be safely ignored. Those people have clearly missed his evolution into one of Twitter’s most politically savvy, forward-thinking personalities. None of this is to mention the other wisdom he’s dispensed on a range of other important topics. There is no source more trustworthy than this. Canseco, a being of immense physical and mental power, will hoist our species onto his bulging shoulders and carry us toward destiny. This process won’t be easy. There will be naysayers and doubters. 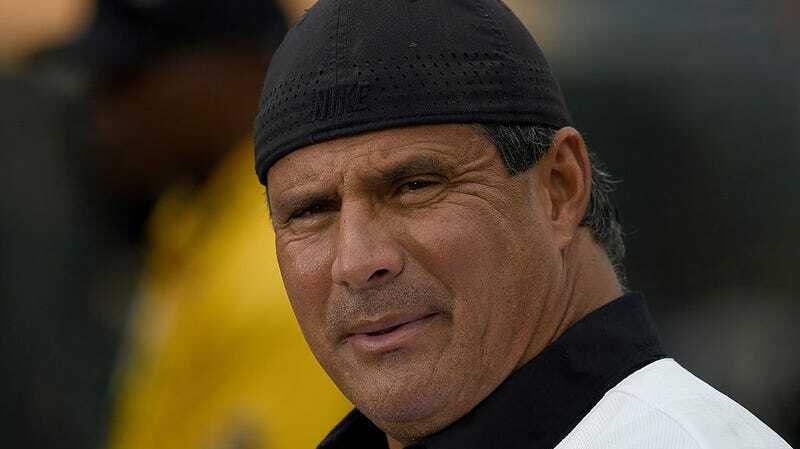 But do not despair, for Canseco already has a tweet ready for you to share with the non-believers.